To transfer the data from Android device to PC there are regular methods like USB, memory card, or Bluetooth, infrared which can be problematic at times. As technology is progressing really fast, there are some modern applications which allow you to connect your Android device to your PC through wifi. Applications like AirDroid, AirMore makes file transferring much easier, no more dealing with USB cables or inserting and removing memory cards. See through the lens of both front and back cameras remotely. Make sure that your Android device and PC are on the same network. Download AirDroid app (Developed by SAND STUDIO) from Google Play Store to your phone. Open the app on your phone and the AirDroid app detects the same wifi network and provides you an IP address. Open any browser on your Windows or Mac browser, type the IP address in the browser and press enter. Once the IP address is entered, an Accept or Decline notification should pop out on your device’s screen. Just tap on Accept. Now the Android device interface is displayed on your web Browser. 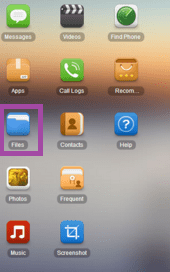 To transfer files from an Android device to PC, click files icon on the web interface that opens up a file browser. Right click on the files you would like to download and click on download. The files will be downloaded to the Downloads folder on your computer. To Transfer files from PC to your device, go to a folder, and click Upload on the top right of the file browser window. Drag and drop files you want from your PC to the Android device. 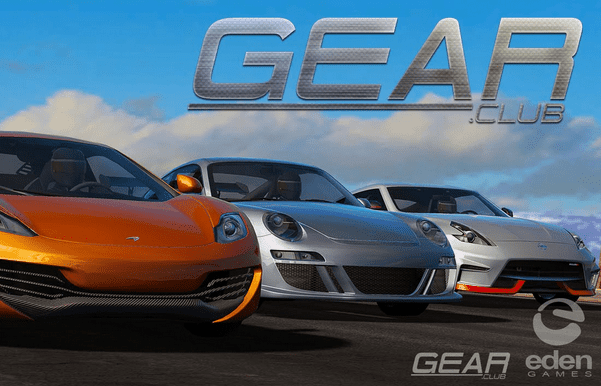 The app will then start to transfer files at a speed that depends on the file size and your connection’s quality. Back up the data including music, pictures, videos, files. 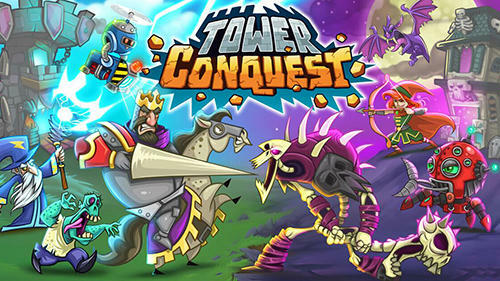 View games app and play on the big screen. 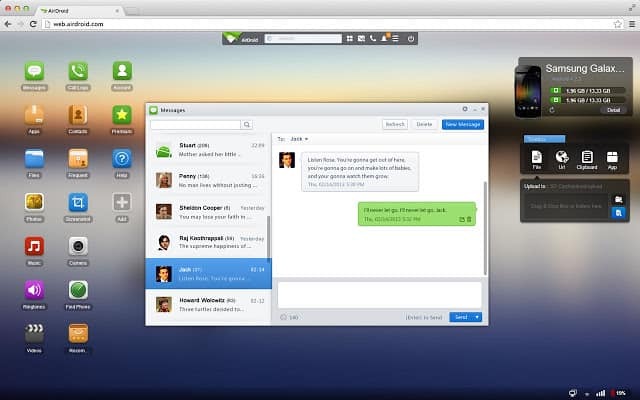 View SMS and reply from your laptop. Sometimes AirDroid App does not connect successfully. Cannot export and import all media type files. 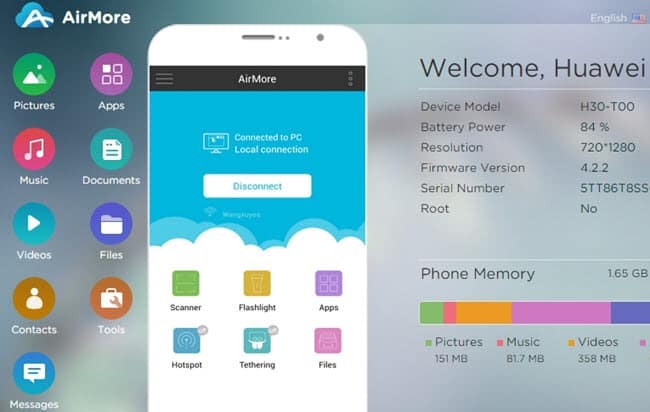 AirMore app developed by Apowersoft Limited is a cross-platform tool that allows you to connect your mobile device to PC wirelessly. 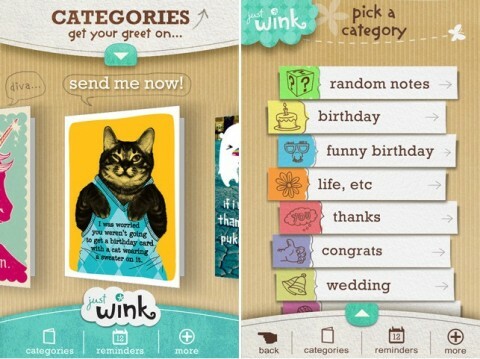 It is also a web-based app that helps you securely transfer files between phone and the computer via Wi-Fi. 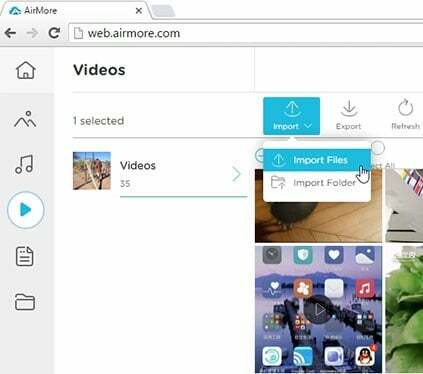 AirMore allows you to stream iOS pictures and videos to your PC easily. You can transfer files with ease just by selecting the files and exporting them to your PC. The file formats supported by AirMore app include txt, doc, Xls, ppt, pdf, epub and so on. You can upload, download them from the web. Create new folders on iOS device and add new files. Manage all your contacts on AirMore Web conveniently, including editing, transferring, deleting, and making phone calls. AirMore supports a variety of web browsers including Safari, Chrome, and Firefox. Capture device screen in one click on the web wirelessly. It allows you to keep it as a file or copy it to the clipboard. You can share it with others as well. AirMore App is one of the best apps for managing your phone on a big screen. Make sure that your Android device and the PC are on the same network. 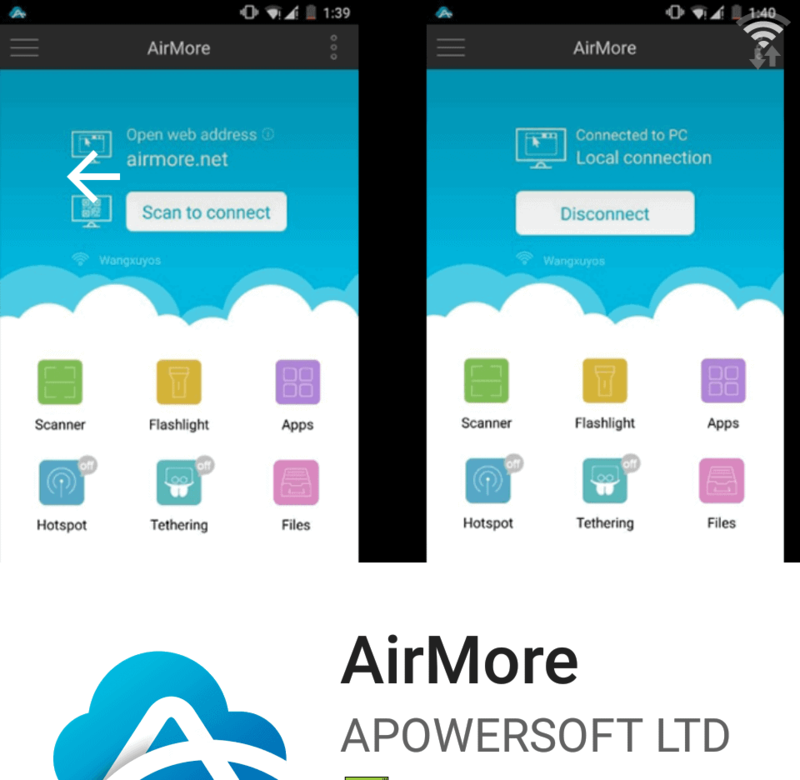 Download AirMore app developed by Apowersoft Limited from Google Play store. Open the web browser like Safari, chrome or Firefox. Open AirMore in the browser. Open the app on your Android device and connect via QR Code or Radar. The Radar detects your Android device because of the same network. When prompts for your permission accept it. You can see the Android device interface on your PC. Make sure that your iOS device and the PC are on the same network. Download AirMore app developed by Apowersoft Limited from App store. Open the app on your iOS device and connect via QR Code or Radar. The Radar detects the iOS device because of the same network. When prompts for permission accept it. You can see the iOs device interface on your PC. Manage calls, SMS from your big screen. AirMore imports or exports only part of the files when downloading multiple files at a time. Rely on your wifi speed or hotspot speed. If you ask me what my choice of Phone Manager app would be? I will choose AirMore App over AirDroid because it is available for both iOS and Android, supports more file formats than AirDroid.